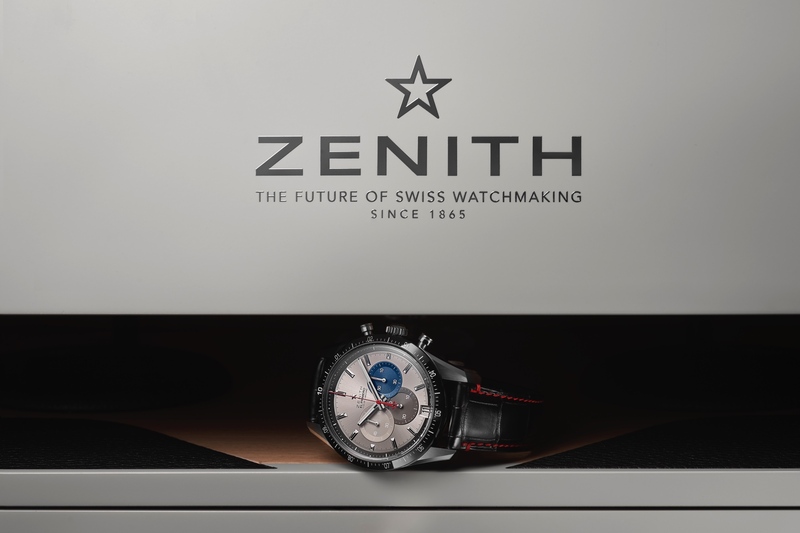 At Baselworld 2017, which takes place next month, Zenith will debut a new version of their Heritage Pilot Chronograph. We covered the launch of the Heritage Pilot Cafe Racer last year, and this is fundamentally the same watch but in a bronze case instead of stainless steel. 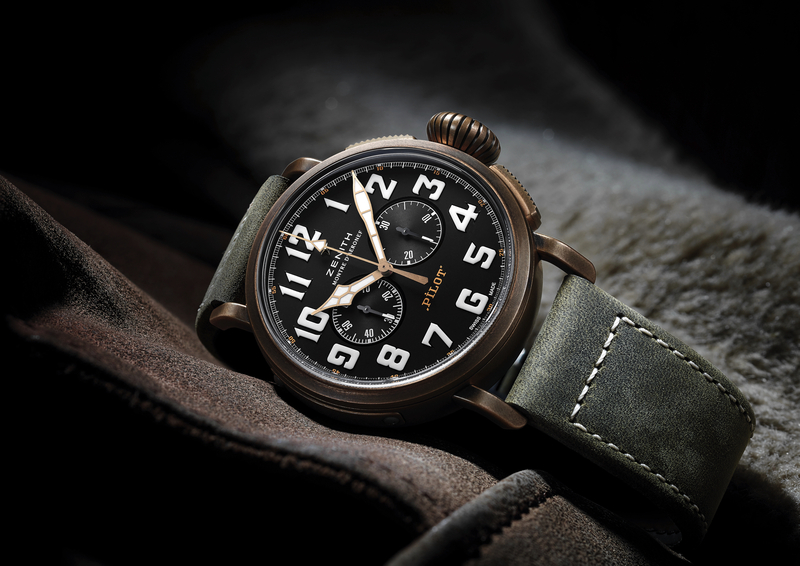 The Pilot Extra Special Chronograph bronze-alloy case measures 45 mm x 14.25 mm, with a domed sapphire crystal, oversized onion-shaped ridged screwed-down crown, with flat ridged pushers, both designed to be used while wearing gloves. 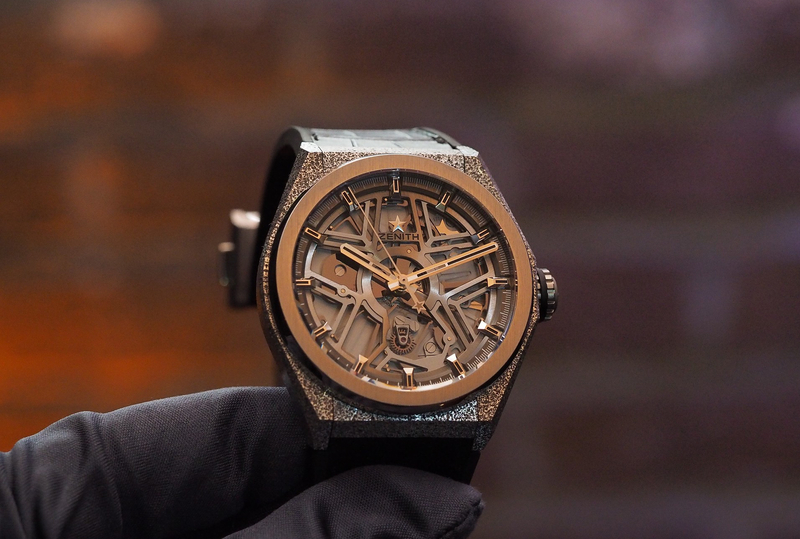 The solid caseback is titanium (which is hypo-allergenic), with an engraved Zenith flying instruments logo. Water-resistance is 100 meters. The dial has a frosted gray finish with two snailed counters and large gold-plated, facetted, luminous coated hands. Right below the Zenith logo “MONTRE D’AERONEF,” which was not on last year’s version. 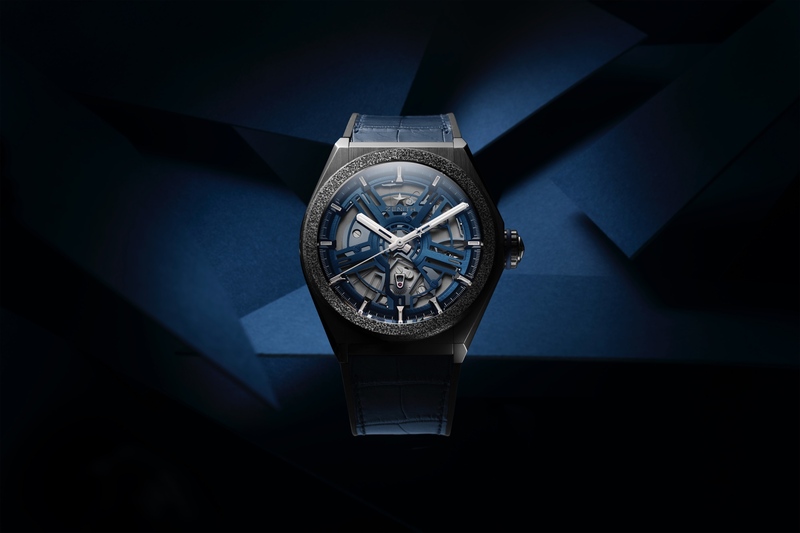 Naturally, the watch is powered by the same 5Hz (36,000 vph) automatic caliber 4069 movement, which measures 30 mm x 6.6 mm, has 35 jewels, 254 total components, and a 50-hour power reserve. An olive-colored oiled nubuck leather strap is used again, although this time the stitching is done by a machine as opposed to hand-tied threads.